Hello Candidates, Are you searching for Maharashtra Police Bharti 2018? Then here is good news for you. Maharashtra Police Department has released a notification of Maharashtra Police AIO Recruitment 2018. There are 204 vacancies available for Assistant Intelligence Officer Jobs. Starting Date for submitting Online Application Form was 29 May 2018. Candidates can submit the filled Application Form before the last date i.e 12 June 2018. Candidates can collect more information about Selection Process & Eligibility Criteria from given article below. How Much Application Fees is required to pay for Mumbai Police Recruitment 2018 ? What are the Eligibility Criteria for Maharashtra Police Jobs 2017 | Required Education Qualification for Maharashtra Police Bharti ? Interested candidates who want to fill Online Maharashtra Police AIO Recruitment Application Form must check Eligibility Criteria from here from given below. For Assistant Intelligence Officer Jobs, Eligibility Criteria includes the details of Minimum Qualification & Age Criteria. Candidates who are applying for Maharashtra Police AIO Jobs must hold Graduate degree in any trade from recognized University. For more information candidates can check the Maharashtra Police Bharti 2018 Official Notification pdf. Candidates must have minimum age 18 years old for Maharashtra Police Jobs 2018. Maximum age limit should not more than 30 year old for Maharashtra Police Assistant Intelligence Officer Vacancy 2018. The Maharashtra Police Department will be offering a Age Relaxation to candidates as per rules of Government. Candidates can check their age relaxation which is given category wise for Maha Police Assistant Intelligence Officer Recruitment 2018. Candidates who got selected for Maharashtra Police Bharti must required to pay Rs 525/- as Application Fees for UR category candidates. For Reserved category candidates has to Rs 325 as Application Fees For Maha Police Assistant Intelligence Officer Jobs 2018 . Candidates who are Ex-Servicemen have to pay Rs 100/- for Maharashtra Police AIO Vacancy 2018 Application Fees. Applicants can deposit the Application Fees through Online Mode. Candidates who are applying for Maharashtra Police Recruitment 2018 their selection is going to based on Online Examination.PET & Interview. First of All, Candidates have to get appear for Online Examination for Assistant Intelligence Officer Vacancy 2018. After Online Examination the Department will be taking a PET. Candidates who clear both Online Examination & PET will be called for Interview For Maha Police Assistant Intelligence Officer Bharti 2018. PET contains eligibility criteria for Males & Females candidates which is given below. The department will pay a monthly salary for selected candidates for Maharashtra Police Bharti 2018. Applicants who got selected for Maha Police Assistant Intelligence Officer Vacancy 2018 will get a salary a salary of Rs 2500/- – Rs 20000/- plus Grade Pay Rs 2400. Visit the Homepage and then collect Maharashtra Police AIO Recruitment 2018 Notifiation. 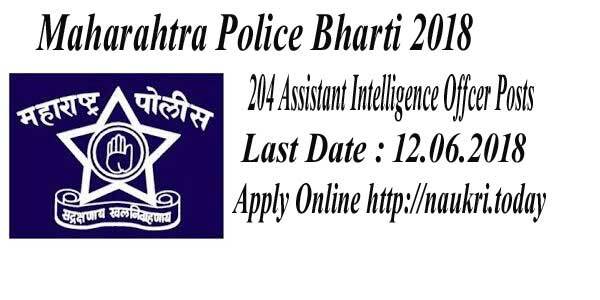 Then go to apply online link for Maha Police Assistant Intelligence Bharti 2018 . Enter all require details on Maharashtra Police AIO Jobs 2018 Application Form. Upload photograph & Signature in Maha Police Bharti 2018 Application Form . Recheck your Maha Police Assistant Intelligence Officer Vacancy application form. Deposit the Application Fees for Maharashtra Police AIO Vacancy. Take hard copy Maharashtra Police Jobs 2018 of it for future uses. Are you waiting for MAHA Police Bharti Notification 2018 ???? If yes then here is a good news for you. Maharashtra police Department has issued recruitment notification of 1137 Mumbai Police Constable Vacancies. Candidates who are interested in Maharashtra Police Bharti 2018 can fill online form for Constable Jobs here. Closing date for filling up online form for Maharashtra Police Vacancies is 28.02.2018. More information you can check by reading the below article. Police Department Maharashtra is inviting online form for filing up Mumbai Police Constable Vacancies. Online registration for Mumbai Police Recruitment has been started from 06.02.2018. This is great job opportunity for all the candidates who are waiting for Maharashtra Police Recruitment 2018. Appliers must check Required Eligibility Criteria, Pay Scale & Selection Criteria for MAHA Police Bharti from below sections. 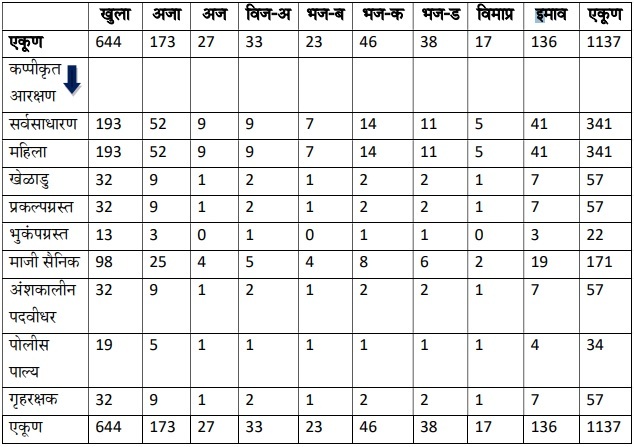 Candidates, here in the below section we are providing Category wise division of Maharashtra Police Vacancies. You can check more information related to Mumbai Police Jobs from official notification. If you are going to fill online form for Maharashtra Police Vacancies 2018 then check required eligibility criteria from here. in the below section all details like Education & Age Criteria For Mumbai Police Vacancies is mention ed. You can also check these information from official notification. Candidates must have passed 12th or higher qualification from any recognized board for Mumbai Police Jobs 2018. Applicants must have knowledge of Marathi language for constable jobs. Minimum age of the candidates for Maharashtra Police Recruitment 2018 should be 18 years & Upper age must be 28 years as on 28.02.2018. Age relaxation for Mumbai Police Bharti is applicable up to 03 years for reserved category candidates. Candidates of General/OBC Category must paid Rs. 375/- as application fees for Maharashtra police Bharti 2018. Other Category candidates like SC/ST category need to pay Rs. 225/- & ESM candidates must paid Rs. 100/- for filling online form for Maharashtra police Vacancies 2018. Fees must be deposited through online mode. Selected candidates will paid a good salary as per organization norms for Maharashtra police Jobs. after joining, candidates will paid Rs. 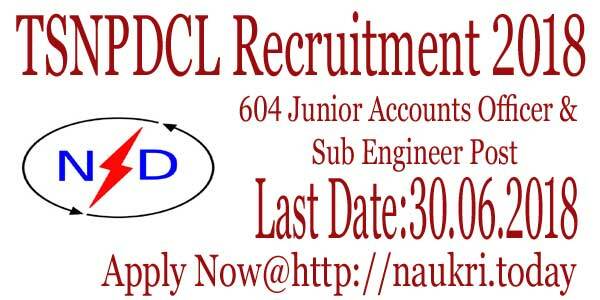 9,300/ –to 34,800/- with grade pay of Rs. 4,300/- for Maharashtra police Constable Recruitment 2018. Candidates will selected for Maharashtra police Bharti 2018 on the basis of Written Exam & Physical Test. You can check more information about selection criteria for Maharashtra police Vacancies from official notification. Keep stay with this page for more updates. Candidates who are eligible & Interested in MAHA Police Bharti 2018 they can fill online form here till the last date. Follow the given steps which is helpful for filling online form for Maharashtra Police Constable Vacancies 2018. Now click on official Mumbai police Recruitment Notification link. Read all the information mention in Maharashtra Police Recruitment Notification. Fill all details in MAHA Police Jobs Online form. Conclusion : – Maharashtra Police Bharti 2018 For 1137 Constable Vacancies. Candidates can fill online form for Mumbai Police Vacancies on or before the last date that is 28.02.2018. Check more information about MAHA Police Bharti 2018 by reading the above article. Maharashtra Police has released a notification of 104 Post of Sub Inspector Vacancy. Applicant who are Waiting for Maharashtra Police Bharti 2017 can apply online application from here. Filling of online form for Maharashtra police SI Jobs has been started from 11.04.2017. Eligible candidates can apply online form for MAHA Police Recruitment on or before the last date 01.05.2017. About Maharashtra Police : Maharashtra is the largest police forces in the country. The Maharashtra Police Department has a strength of nearly 1.95 lakhs. Maharashtra police has invited applicant for Sub Inspector Jobs. Candidate can apply online form for 104 Maharashtra Police SI Vacancy. Those candidate who can fulfill the eligibility criteria for Maharashtra police Vacancy can register online. More details like Education Qualification, age limit and Selection Process Given Below. Education Qualification for Maharashtra Police Sub Inspector Job : Candidate going to apply for Maharashtra Police Vacancy should have completed 10th Class/ 12th Class from recognized institution/university with minimum pass percentage of marks. Interested and eligible applicants are advised to check official notification of details more about education qualification for Maharashtra Police Sub Inspector Recruitment 2017. Age Limit For Maharashtra Police Jobs/ Age Criteria for Maharashtra Police Bharti : Candidate applying for Maharashtra Police SI Recruitment 2017 firstly full fill the age criteria. Minimum Age of the applicants for Maharashtra Police Recruitment should be 24 years and upper age Limit for Sub Inspector is 28 years. Age relaxation for Maharashtra Police according to Govt. rule. Maximum Age relaxation for Candidate who are Ex- service men and Applicant belong to ST/SC Category is applicable up to 5 years. Application Fee for Maharashtra Police SI Jobs 2017 : Candidate Belong to General Category has to Pay Application fee Rs.500/- for Maharashtra Police Vacancy. Applicant belong to ST/SC Category will pay Rs.250/- for Maharashtra Police Bharti. There is no Application fee for Ex- serviceman Candidate. Payment of Application fee will be through Online mode. Maharashtra Police SI Pay Scale : Selected candidates for Maharashtra Police Sub Inspector Jobs will paid pay band as per Department Norms. check Post wise pay band for MAHA police Bharti is mention in above table. (a).Male Candidate : (a) Swimming in sea (wearing clothes) up to 50 meters : 50 Marks. (b) Floating in sea for 3 minutes : 25 Marks. (c) Free Jump in sea from 3 meters : 25 Marks. (b).Female Candidate : (a) Swimming in sea (wearing clothes) up to 25 meters : 50 Marks. (b) Floating in sea for 3 minutes : 25 Marks. (c) Free Jump in sea from 3 meters : 25 Marks. 1. Height Shall not be less than 155 cm. Shall not be less than 157 cm. Written Exam For Sub Inspector Job : Candidate who will Secure 50% Marks in Physical Fitness Test will be called for an written Test. Written Exam for Maharashtra Police Will be of 75 Marks. The Written test shall be of objective type. The Written Test include the following subjects (a) Arithmetic. (b) General Knowledge & current affairs. (c) Knowledge of marine engines and repairs. Interview : After Clearing Written exam ad Physical Fitness test candidate shall be called for an Interview on the basis of merit list in the ratio of 1:8 of Vacancy. The Interview will be conducted by Selection Committee. Subjects for Maharashtra Police interview will be General personality of the candidate and General Knowledge and Navigational Knowledge. How to Apply Online Form For Maharashtra Police Recruitment 2017 |104 Maharashtra Police Sub Inspector Bharti ? Eligible & Interested candidates for Maharashtra Police Sub Inspector Recruitment 2017 can fill online form here by using the given steps. Follow the given steps for filling online form for MAHA Police Bharti 2017. Applicant should Log on Official website www.maharecruitment.mahaonline.gov.in. Then Search for Maharashtra Police recruitment 2017. Open notification and read all the details Carefully. 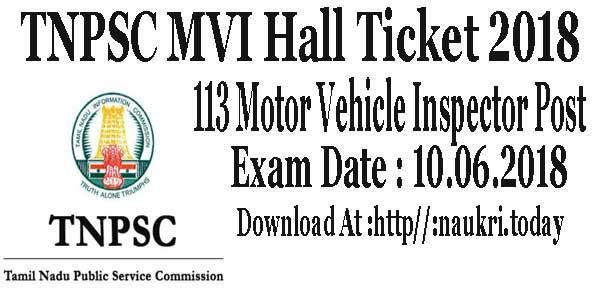 if you are eligible click on Registration Link. Register your details and Log on with Registration details. Select Maharashtra Police SI Link. Fill all the details Carefully and Upload Scanned Signature and Photo. Pay Application fee and Click on Submit Button. Conclusion : Maharashtra Police has Released notification for 104 Jobs of Sub Inspector Vacancy. Interested Applicant Can Check Education qualification and more eligibility details from above. Eligible Candidate can Apply online for Maharashtra Police Bharti 2017 before the last date 01.05.2017.